Well, it's a pretty well know fact that Kings Dominion is pulling out all kinds of great vintage park items for their big 40th anniversary in 2014. However, I'm sure people are wondering what else is going on with the park? Is anything else happening? What about normal type stuff? Any new perks? Well, Thanks to Kings Dominion's Facebook Page, We've got these answers! 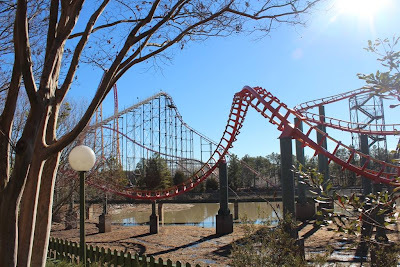 In a series of reveals, Kings Dominion has been giving fans "12 Days of Christmas Surprises" over on their facebook page. Each day revealing new things which will show up in the park for the big #KD40 celebration. So we've got them, all 12 presents for guests and pass holdings for the big 2014 season at Kings Dominion. 3. Unlimited 'Dinosaurs Alive' visits for Platinum and Gold Pass Members. 5. A Newly Renovated "Border Cafe". Overall, it looks like Kings Dominion is really trying hard to revive themselves and their history during this big event. Not only are they giving big park improves but they are also giving some new treats to regular visitors and pass-holders alike. Especially Nice is that the Coasters are getting some love. Anaconda will get a nice new coat of paint to celebrate the anniversary. Kings Dominion reports that the ride supports will be green, the track a red color and the rides rails will be a shade of yellow. The lake is currently being drained but will return, clean and fresh for the new season. Don't worry, the park assured people this is only for the equipment to be moved around the ride to allow ease of panting the coaster. 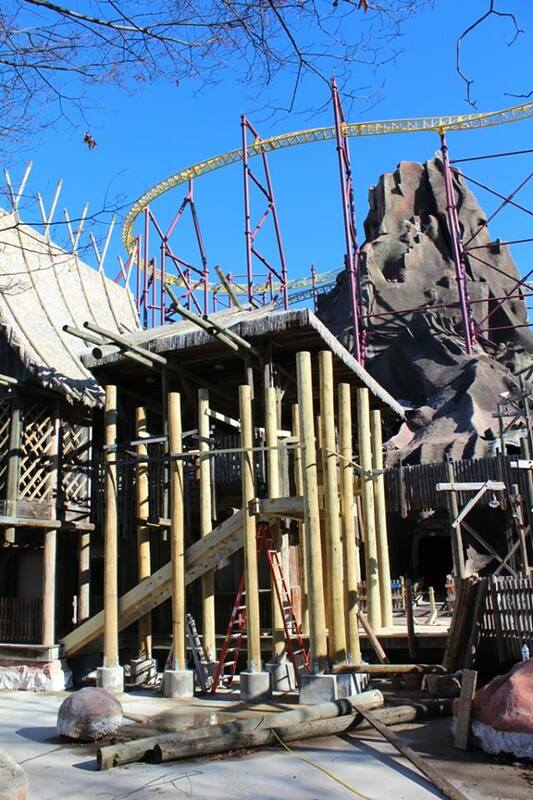 Not to be left out, Volcano-The Blast Coaster is also getting some heavy-duty love from the park. Improvements are being made to the rides long and twisting queue line, which the park states will help improve the rides "riders per hour" number. It looks like the outside area of the line is getting a complete re-design to accommodate this. While very cool, the ride suffers from log jams and flow issues with the current line- this will hopefully be a great improvement! 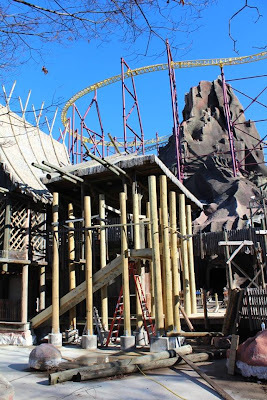 Also on the list for Volcano- A multi-year project in which Kings Dominion will fully refurbish the 'Volcano Mountain" including new paint, new concrete and overall improvements to the structure. 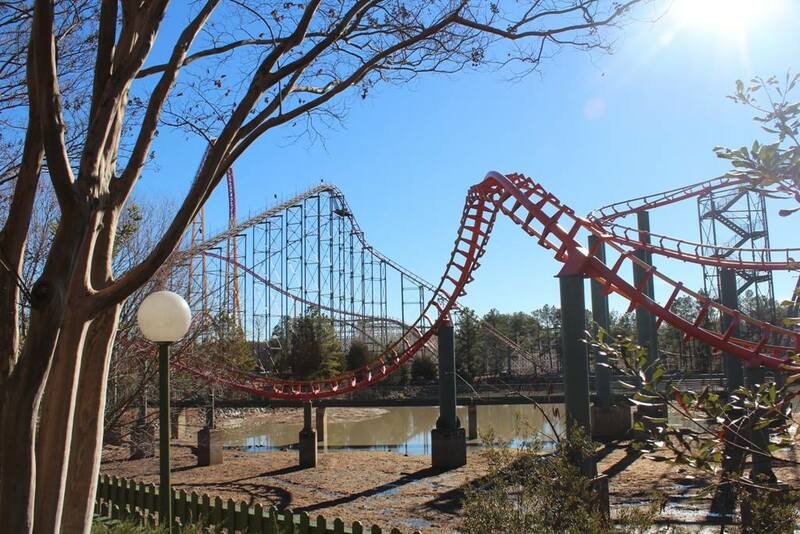 It looks like 2014 and Kings Dominion's 40th Anniversary is really going to be something special at this rate. Not only are guests getting limited time treats for the anniversary but also big, multiple year projects to improve the park.